Shivang Singh, a class 12 student of the Scottish High International School, Gurgaon, ranked second in Delhi and the National Capital Region, in the ISC exam, scoring 98.75% in science. He has a full scholarship offer from Hong Kong University. 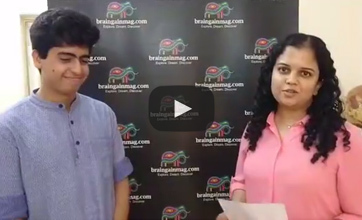 In a Facebook Live session on June 9, 2017, he chatted with BrainGain Magazine's Skendha Singh about the secrets of his success, his exam-time stress-busting strategies, and his future plans. He also offered some tips for students and their parents, and talked about the lasting impact of his participation in 2016 of the Knowledge@Wharton High School Global Young Leaders Academy at the University of Pennsylvania. With few seats and ever-increasing competition levels, the pressure on students to create compelling college applications is immense. 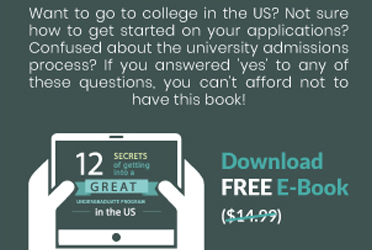 Here is some expert advice that will help you apply for colleges successfully. Funding studies abroad is usually a complex problem. But we’ve made it simple. Mr. Barry O’Driscoll, Senior Education Advisor for India & Sri Lanka, Education in Ireland, talks about the costs and financial aid opportunities for international students in Ireland. Things only a seasoned Bruin can tell you. Attending an Ivy League can be an impressive highlight on the resume but what if education from other institutions could also provide you with a similar or sometimes even better educational experience?